NEW YORK--(BUSINESS WIRE)--MetLife, Inc. (NYSE: MET) today announced its inaugural class of 10 companies selected to participate in the MetLife Digital Accelerator powered by Techstars. 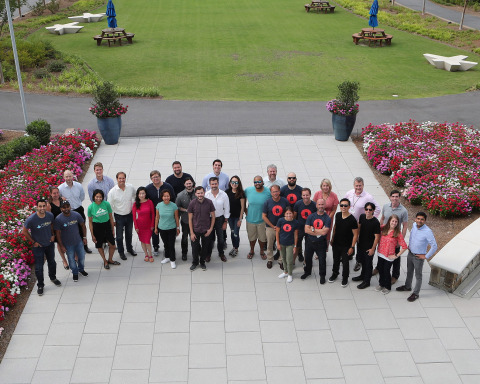 Based at MetLife’s Global Technology Campus in Cary, North Carolina, the Accelerator connects startups with MetLife leaders and Techstars mentors for an intensive 13-week program focused on fast-tracking technologies with the potential to disrupt the industry. At the conclusion of the 13-week program on Oct. 18, 2018, startups will present their ideas to MetLife and other potential investors during Demo Day. Aligned Business (Singapore): An end-to-end digital platform that enables carriers to rapidly create, define, underwrite and distribute any category of insurance product to any market. AnswersNOW (Richmond, Virginia): Digital platform that supports parents of children on the autism spectrum by pairing them with their certified experts and providing clinical interventions. Buddy (Richmond, Virginia): On-demand accident insurance for an active, outdoor lifestyle. Enroll Hero (Santa Monica, California): Personalized recommendation tool that helps seniors pick the right Medicare plans in minutes. FitBliss (San Jose, California): Digital wellbeing platform to optimize health and productivity for the global workforce. FIX: Fitness Interactive Experience (Atlanta, Georgia): Health entertainment via a blend of gameplay and health behavior change. Halos Insurance (Washington, D.C.): Consumer insurance platform exclusively for low-risk consumers. MamaMend (Boulder, Colorado): Digital health platform and postpartum guide that informs, empowers and improves health outcomes for new moms. Portabl (London, United Kingdom): A comprehensive subscription service that protects freelancers and gig workers with personalized insurance and savings products and other benefits. Safely (Atlanta, Georgia): For property managers and homeowners, insures Airbnb and HomeAway rentals by leveraging data analytics and a contributory database to verify guests while providing up to $1 million in liability and property coverage. The MetLife Digital Accelerator powered by Techstars is a part of MetLife’s broader innovation ecosystem that is transforming the customer experience. The ecosystem also includes relationships with 17 venture capital firms, strategic partnerships with leading technology companies, and collaborations with universities such as Carnegie Mellon, the University of North Carolina at Chapel Hill and more recently the MIT Media Lab. MetLife has also established a $100 million fund through its subsidiary, MetLife Digital Ventures, to accelerate investment in strategically aligned startup companies. MetLife announced its inaugural class of 10 companies selected to participate in the MetLife Digital Accelerator powered by Techstars.